Would you sick of hearing unwanted background noise while listening to your records? maybe just clean part of debris instead of removing tiny dusty completely. and removing particles deep in the record's grooves. Our Record Roller provides the safest, most innovative vinyl cleaning. The Record Roller is liquid free, no-residue cleaning roller that eliminates risk and worry. HIGHLY EFFECTIVE : Senbitertop record roller clean your vintage collection with only a few rolls.Strong adsorption capacity help to remove dust and dirt. 100% REUSABLE : After using cleaner,you can clean roller under water.It will be sticky when the roller is dry.You can continue to clean your vinyl record,smart phone and pad. COMPARE WITH TRADITIONAL RECORD CLEANING KIT : Some record cleaning kit like carbon fiber record brushes maybe just clean part of debris instead of removing tiny dusty completely. 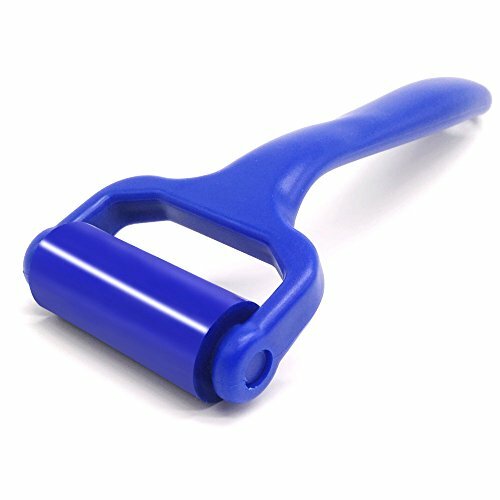 SAFTY CLEANING ROLLER : Senbitertop's rollers use a gentle design and refuse to cause damage of your vintage collection.Though we design with a sticking effect in rollers, there is not an actual adhesive or residue on records. If you have any questions about this product by Senbitertop, contact us by completing and submitting the form below. If you are looking for a specif part number, please include it with your message.